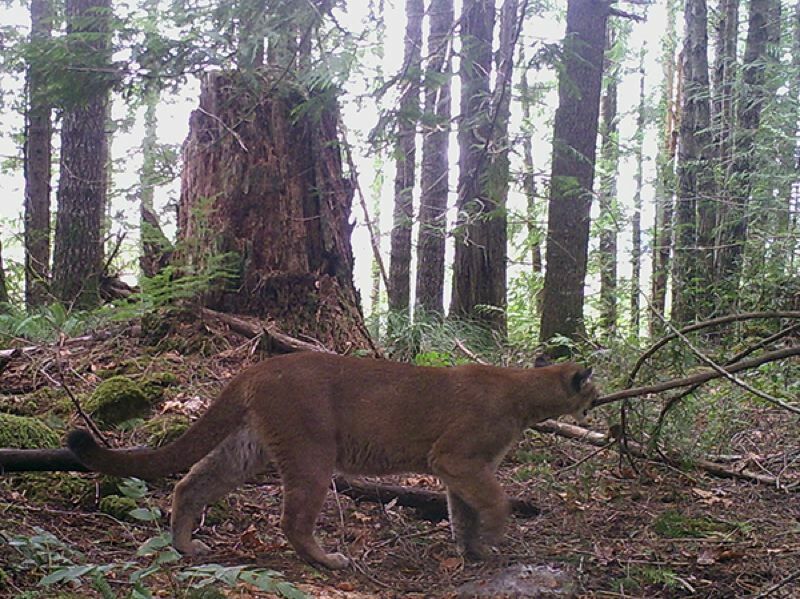 Jim Akenson, a wildlife biologist and Conservation Director for the Oregon Hunters Association, wants Oregonians to consider the negative consequences of a cougar population that has doubled since the mid 1990s. The fatal cougar attack on a hiker in the Mount Hood National Forest last year was a tragic thing. Evidence evaluation indicated the cougar was a female in good health. Is this a surprise? Not really. Cougar numbers are at all-time highs for our state, and the distribution of these cats encompasses the entire state. What has accounted for this cougar population expansion from an estimate of less than 3,000 in the mid-1990s to well over 6,000 today? Some of the answer is biological, some is social, and much is connected to management capabilities and practices. We need to find a way to return to this socio-biological balance, and looking to the recent past might just be the best bet — back to a time when hound hunting was a legal and effective management tool in Oregon. What are the consequences of there being double the number of cougars in Oregon? These effects are best described as alarming and pattern changing. One such pattern is for prey animals, specifically deer, relocating to human development areas to avoid a higher predation risk. This relocation is also drawing in cougars that will go where the next meal can be found. Many hunters and state wildlife managers report that deer are now less abundant in the wilder mountain, high desert, and canyon regions of our state. Meanwhile, Oregon cities are wrestling with the number of deer inhabiting city limits, and cougars are showing up in backyards and schoolyards. As cougars become more comfortable in human-altered landscapes, the probability of negative encounters with humans, as well as pets and livestock, increases. So, what is the solution? Biologically, it is plain and simple — more intensive cougar management through various hunting techniques. With an estimated population of 6,400 cougars, and roughly 14,000 people hunting cougars and harvesting from 250 to 300 cats per year, this only equals a harvest rate of 4 percent, which is not enough to even flatten the ever-rising cougar population curve. Reducing human threat, increasing deer and elk survival, and bringing a cougar population back in balance with other interests in our state will require increased management action and efficiency. According to the 2017 Oregon Cougar Management Plan, the success rate for 2016 cougar hunters was 1.9 percent, with 13,879 people reporting that they did hunt cougars. Contrast that with 1994 data, the last year that dogs were allowed in conservatively controlled, limited-entry cougar hunting, showing 358 people hunted cougars and harvested 144 for a success rate of 40.2 percent. Bottom line: hunting efficiency with dogs is dramatically higher, and provides wildlife managers a reliable tool for maintaining the cougar population within its management objectives. Oregon's cougar management and record-keeping are divided into six zones, each of which is assigned a desired harvest quota to keep the population in balance with the varied activities of all Oregonians. Employing the current limited management methods, only one of the six zones has met the harvest quota in recent years. A criterion for quota establishment is complaint frequency. By far the most cougar complaints are recorded on the west side of the Cascades, including the coastal region, in Zones A and B. This is also where the bulk of the human population lives. More than 350 cougar complaints per year were received during the last decade in these two zones. Unfortunately, this recording system was not initiated until 2001, so we don't have data for the time before the dog ban of 1994. We do have records for administrative actions connected to human safety and pet conflicts before and after the dog ban of 1994. For eight years before the ban, they averaged only four per year, and then seven years after the dog ban these complaints increased to 27 per year — nearly a seven-fold increase. Oregon does have a legislatively authorized agent program wherein highly vetted houndsmen are permitted to lethally remove cats to reduce human conflict and bolster deer and elk survival. These agents work closely with ODFW district biologists. Even with this program in place, cougars are steadily increasing in Oregon, where hunting them is very impractical without the aid of dogs. At present, the law authorizing the use of agents is up for renewal, and hopefully it will receive legislative support and then be applied more broadly for both reaching zone harvest quotas and to help curb the upward statewide population trajectory. Jim Akenson is a wildlife biologist, book author and Conservation Director for the Oregon Hunters Association (oregonhunters.org). He invested much of his career in researching the Northwest's predators.